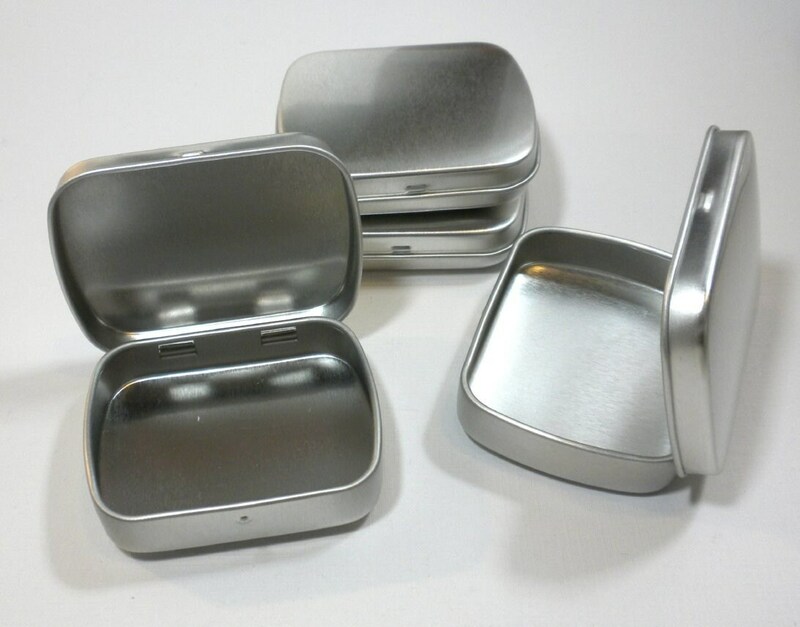 These 5 rectangular hinged tins with rounded corners are the smaller 2.5" by 2" size. They are 1/2" deep. 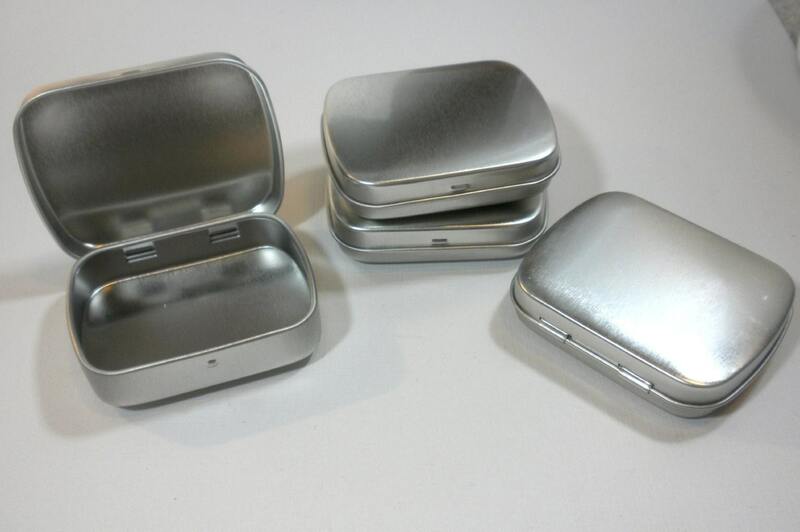 (Similar to the Altoids Smalls size tin.) 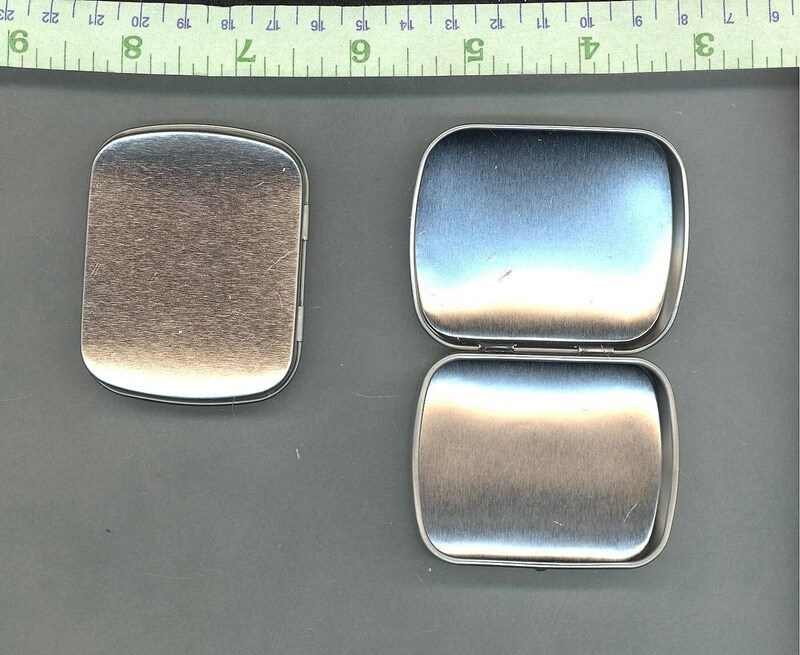 Use them to hold pendants, scrabble tiles, earrings, mini sewing kits, or anything else you can think of! 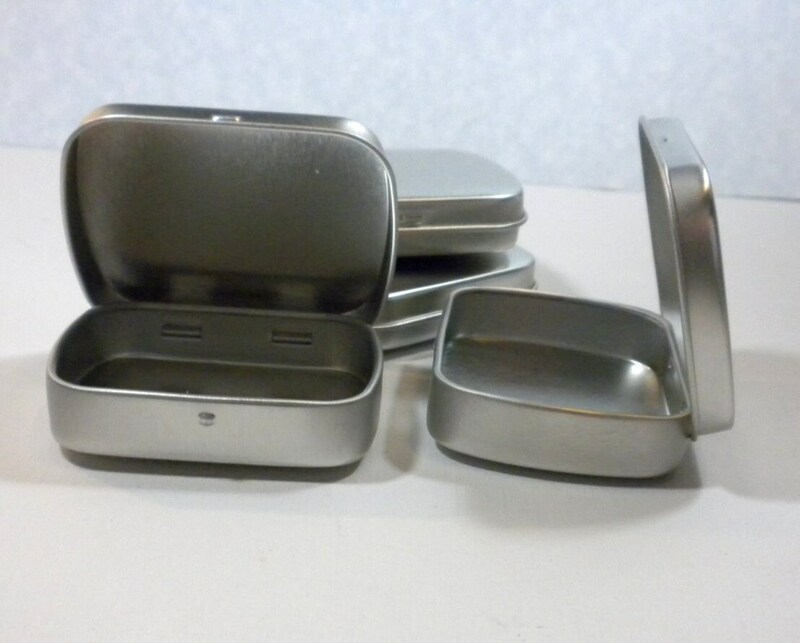 Love these containers! Holds so many little things perfectly. 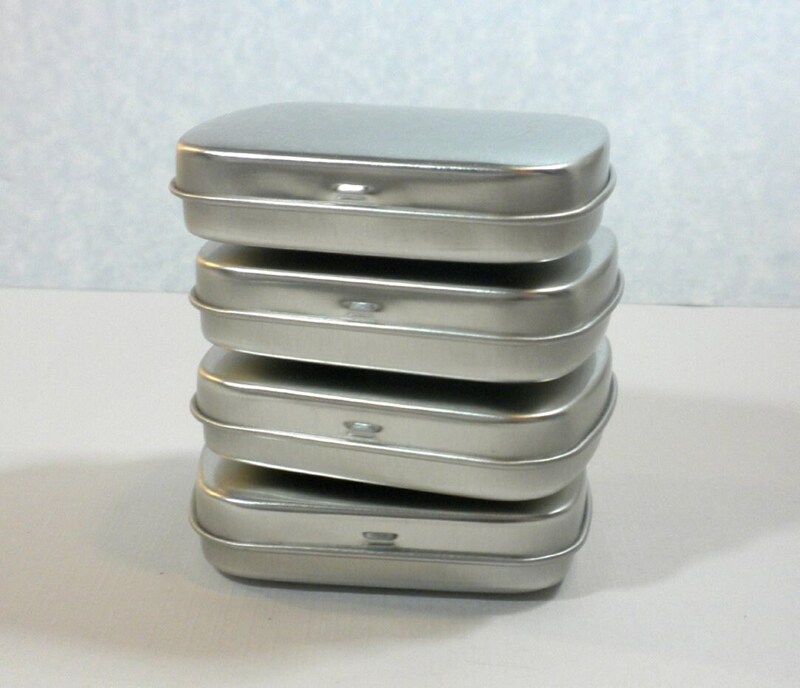 Shipped quickly and will be good for use in craft projects.